NYC Immigration Lawyers, Naturalization, Green Cards, Deportation Defense, Brooklyn, New York - How Do I Change My Fiance(e)'s Status to Lawful Permanent Resident? 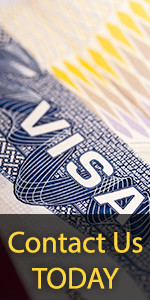 » How Do I Change My Fiance(e)'s Status to Lawful Permanent Resident? An immigrant is a foreign national who has been granted the privilege of living and working permanently in the United States. You must go through a multi-step process to become an immigrant. One of the paths to permanent residence is through a Fiance(e) petition. After you have been admitted to the United States as a Fiance(e) and have married your petitioner within the 90-day time limit, you are now eligible to adjust your status to permanent resident status. You may also wish to read How Do I Remove the Conditions on Permanent Residence Based on Marriage? The Immigration and Nationality Act is a law that governs immigration in the United States. For the part of the law concerning permanent resident status, please see INA § 245. Fiance(e)s are also subject to the 2-year conditional residence requirement of INA § 216. The specific eligibility requirements and procedures for adjusting to permanent residence status are included in the Code of Federal Regulations [CFR] at 8 CFR § 245. To find out who may apply for permanent residence in the United States, please see eligibility information. To find out how you can apply for your fiancé(e) to become a lawful permanent resident of the United States, please see Application Procedures, which will help you identify what you need to do. After you submit your application materials, you will be asked to go to a USCIS office to answer questions about your application. Will My Fiance(e) Be Eligible for a Work Permit? Applicants for adjustment to permanent resident status are eligible to apply for a work permit while their cases are pending. You should use Form I-765 to apply for a work permit. You do not need to apply for a work permit once you adjust to permanent resident status. As a lawful permanent resident, you should receive a permanent resident card that will prove that you have a right to live and work in the United States permanently. Please see How Do I Get a Work Permit? for more information. Can My Fiance(e) Travel Outside the United States? If you are applying for adjustment to permanent resident status, you must receive advance permission to return to the United States if you are traveling outside the United States. This advance permission is called Advance Parole. If you do not apply for Advance Parole before you leave the country, you will abandon your application with Immigration and you may not be permitted to return to the United States. For more information, please see How Do I Get a Travel Document? Please contact the USCIS office that received your application. You should be prepared to provide Immigration staff with specific information about your application. Please see our case status page for complete instructions on checking the status of your application. Please see our field offices page for for more information on our . The only applications for permanent residency (Form I-485) which can be appealed are those based on a marriage which took place while the alien's deportation was in process. Generally, you may appeal within 33 days after the immigration judge decides to remove you from the country. After your appeal form and a required fee are processed, the appeal will be referred to the Board of Immigration Appeals in Washington, D.C. For more information, please see, How Do I Appeal A Denial of My Application or Petition?.